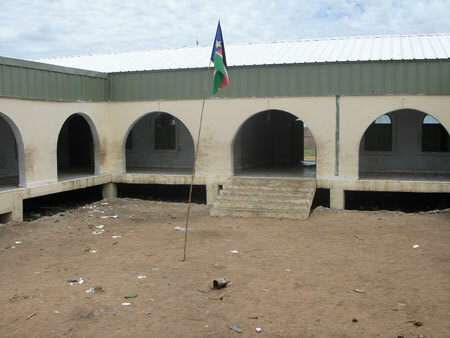 The primary school at Nhialdiu, with the flag of the Sudan People's Liberation Army planted in the central courtyard. Morton, Chris. "Nhialdiu primary school" Southern Sudan Project (in development). 03 Jan. 2006. Pitt Rivers Museum. <http://southernsudan.prm.ox.ac.uk/details/2007.137.97/>.